Cristiano Ronaldo, Gareth Bale, Lionel Messi – and you! 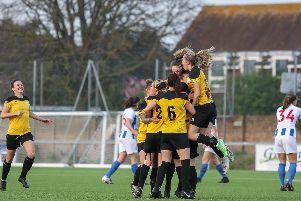 The opportunity to follow in the footsteps of those legends is on offer to all six-a-side footballers in Worthing as they are given a golden chance to compete in the Champions League for small-sided teams. Leisure Leagues – who run a league at Worthing Leisure Centre - has teamed up with the International Socca Federation (ISF) to exclusively offer players the chance to compete in the Champions League for six and seven-a-side teams to be held next month. Head of TV for Leisure Leagues James Coe said: “It will be an incredible event. It would be great to think that a team of ordinary local footballers could go out there and compete with the best in Europe. The tournament takes place in the town of Porec, Croatia, and kicks off on October 18, with £3,000 prize money for the winners.